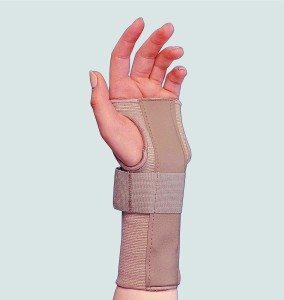 If you have thumb and wrist pain, you may have tried wrist splints, injections or other methods to relieve the pain. Is the pain from arthritis? Conventional wisdom suggests that is likely. If you understand wrist, elbow and thumb pain, you may find out that the symptom is thumb and wrist pain, but the problem is actually resulting from the pelvis, and how it affects shoulder function. How can shoulder and hip problems cause your wrist and thumb to ache? The answer has to do with the fascial system, which controls how we move and function. It was previously thought that muscles and nerves controlled movement, although now we understand that the fascia, or connective tissue which forms according to the forces we place upon it controls movement. Fine motor skills which are part of hand and wrist movement require proper shoulder stability and function. If there are problems in the lower body, such as pelvic torsion, it will distort the upper body and create functional problems in the shoulder, neck, elbow and hand. The result is tightness and pain in the arm, numbness, neck tightness and pain as well as wrist and thumb pain if the problem has persisted for a long time. The traditional approach of injections, surgeries and therapies to the hand may seem to improve the pain and swelling, although symptoms in other parts of the body are likely to surface. The pain in the hand and the wrist may be symptoms of dysfunction in other parts of the body. The actual problem of pelvis or dysfunction in the feet are also resulting other symptoms such as back pain, neck pain, shoulder pain and knee problems. Since these problems may come and go, they may seem to have no relationship to the pain. As our patients often find out, when we work on the mechanism behind their hand pain, the grip strength improves and the pain is reduced by working on the seemingly unrelated body area. Sufferers of chronic thumb and wrist pain may have had surgery or other medical interventions in the past. 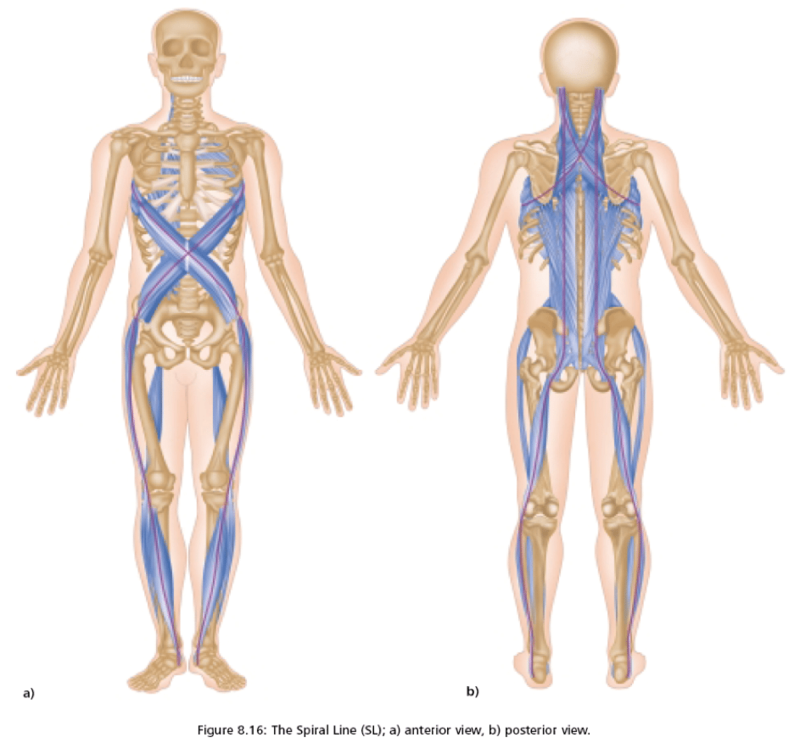 As you can see in the chart taken from Myer’s Anatomy Trains, the fascial system is integrated throughout the body in layers, and in between those layers are nerves and vasculature. Years of adaptation to our unique body mechanics as explained in the book Cheating Mother Nature, what you need to know to beat chronic pain may be why your wrist or thumb is painful. Fascia is integrated throughout the body. Tight and poorly adapted fascia from trauma and daily living can result in restrictions of motion into the upper body, shoulder and fascia in the arm. This can cause wrist pain, thumb pain and even trigger fingers. 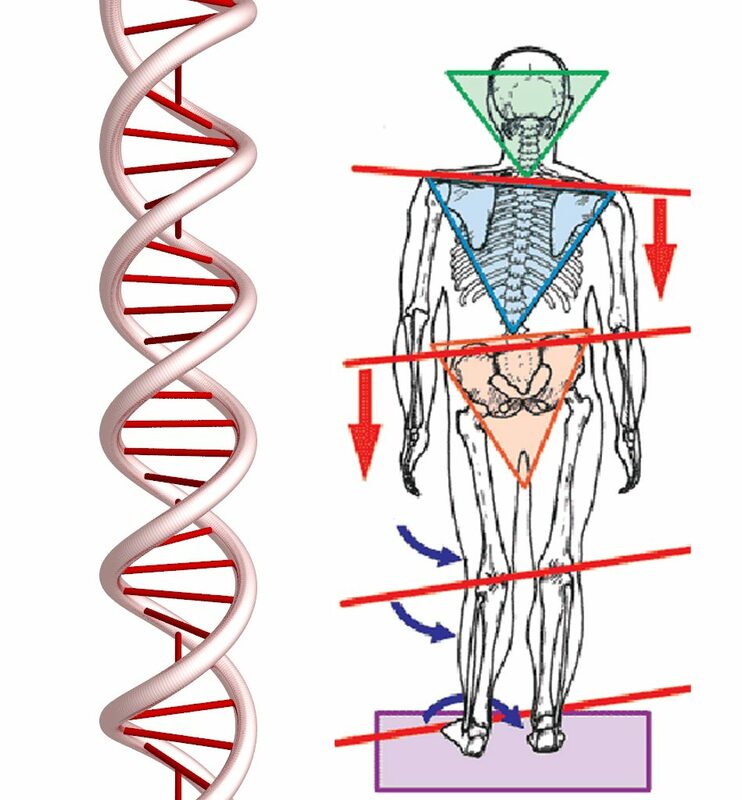 Observing the body and how it is integrated is important because we are holistically designed, meaning everything is connected to everything else. Unless your healthcare provider looks at you, and how you function, it is impossible to properly diagnose hand and wrist pain. Arthritis may be a factor in chronic hand pain, but treating the lower body, fascial system and shoulder inclusively to the hand is likely to result in resolution of the hand and thumb pain, while preventing other problems such as knee, shoulder and neck problems which are likely to occur as well. If your healthcare provider solves the common mechanism behind your hand pain, many other symptom are likely to never occur as well. The more chronic the problem becomes, the more likely that the fascia deep in the forearm will be involved and the more complicated it will be to treat. Unfortunately, medication and splints will make a problem become more chronic. A good examination begins with your grip. Most people with wrist and thumb pain will blame their weak grip on the pain. As I have shown many of our patients with pain; loosening up the pectoral muscle on that side, along with the triceps and biceps reduces pain in the hand and wrist. Evaluating grip strength, with the hand turned down and up demonstrates shoulder involvement and its relationship to your thumb pain. This is quite different than using a splint which merely limits painful motions, while not resolving the mechanism that is straining your wrist and thumb resulting in pain. Splints may relieve the problem temporarily, however they are not curative. Evaluating the hips and lower body may yield further clues as to why your thumb and wrist hurts. You may also have problems in the feet and knees and believe that these problems are unrelated, however, unless your healthcare practitioner evaluates you, not just your symptoms, you may never resolve the problem and it will worsen over time. Did your healthcare provider look at your wrist, or at you first? Did they evaluate your feet, hips and legs? One of the most common compensations seen are distortions of the pelvis causing similar problems in the upper body. 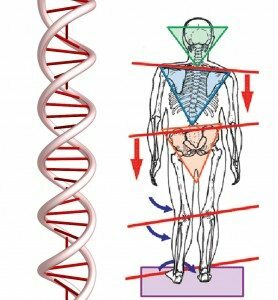 Are you shaped like DNA like the picture to the right? It may explain why you hurt. Why see a chiropractor first? Chiropractors are trained to evaluate the body holistically. Poor motion patterns often result in pain. Many chiropractors are primary care generalists for the musculoskeletal system. A generalist approach if often more efficient and effective than using multiple specialists who look at the painful part such as an orthopedist. Chiropractors use manipulation of the spine and extremities, myofascial release treatment, exercises and other methods to resolve problems in the hand and wrist, while avoiding risky medications or surgeries. Newer evaluation methods such as treat – test – treat personalizes the care to what is uniquely causing your hand and wrist pain, since we are not all alike and neither is everyone’s pain. The idea of pain management which is often done to burn or affect nerves, while the cause is not addressed can be risky and expensive. Effective and efficient care begins with a thorough evaluation. Personalizing the care makes it unique for you. Who you see first will determine the cost and effectiveness of your healthcare experience. See a chiropractor first for thumb and wrist pain. You will be glad you did.